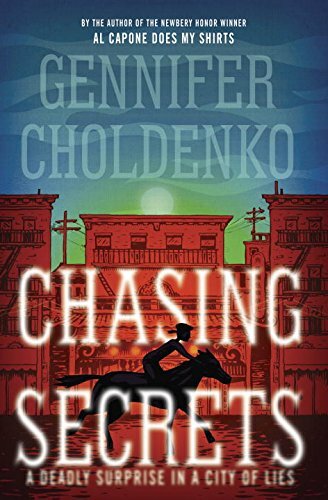 In 1900 San Francisco, thirteen-year-old Lizzie Kennedy is stuck at Miss Barstow’s snobby school for girls. She'd much rather learn science and lives to go on house calls with her physician father. 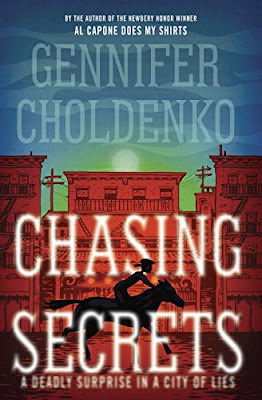 On those visits to his patients, however, she discovers a hidden dark side of the city—a side that’s full of secrets, rats, rumors of the plague, and a quarantine against Chinatown. But the newspapers and Lizzie's own father denies the plague's existence. Why is Noah, the Chinese cook’s son, suddenly making Lizzie question everything she has known to be true? Ignoring the rules of race and class, Lizzie and Noah must put the pieces together in a heart-stopping race to save the people they love. There is a lot to appreciate about this book. The amount of research that went into it is amazing, particularly; I felt that I learned a lot about what it was like to live in turn-of-the-century San Francisco. Choldenko also (quite usefully) includes all sorts of notes about her research at the end of the book. Of particular interest were race relations with the Chinese (which was terrible), social norms in regards to gender (women could hardly do anything! ), and the power grabs by the rich (lots of new money from gold and the railroad). So, yes a lot to learn! The story itself was good. I did feel like there were some gaps and slow parts, but it really picked up in the end. Lizzie, as a character, was pretty awesome: she has a lot of growing up to do and makes leaps in trying to understand herself, her interests, and her place in the world. She's ahead of her time, but that makes her more relatable to the younger readers of today. The other characters have their shining moments, too, so they're not flat and boring background fillers. Overall, yeah, I'd recommend it. I don't know that the kids will flock to it, but we can encourage it! If kids liked Choldenko's Al Capone at Alcatraz books, they'll like this, too. Also, it's a great readalike for The Great Trouble.